BigTen HK Q2 HH - GREAT turn out! Thanks all for coming!! we've a blast and welcome our current students Adrian and his team back for summer! :) Looking forward to see you all later this summer! BOILER UP! 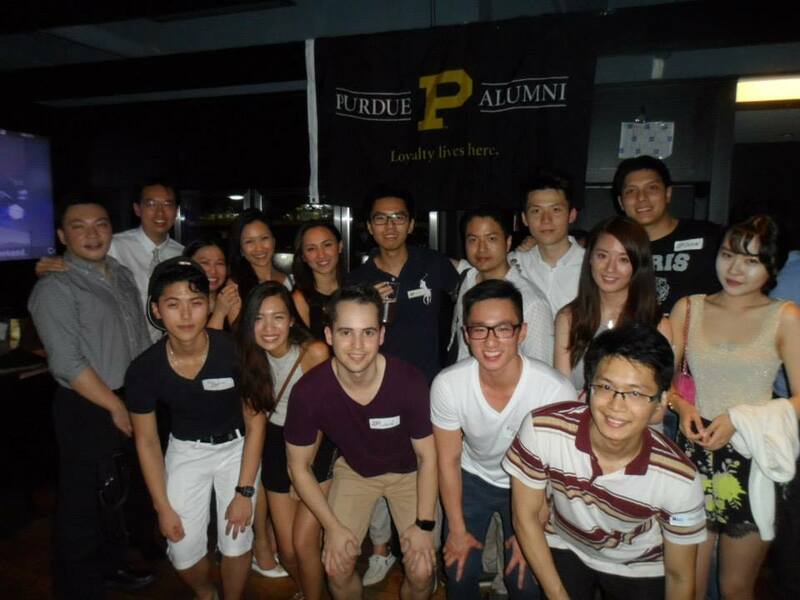 Proud Boilers joining BigTen HK Q2 summer Happy Hour! Thanks Ben for putting our FLAG UP!! Hail Purdue!! WEST LAFAYETTE, Ind. – Purdue University is ranked 16th in the world among universities granted U.S. utility patents in 2014, according to a new report released by the National Academy of Inventors (NAI) and the INTELLECTUAL PROPERTY Owners Association (IPO). This ranking in PATENT activity is up from the previous year's spot of 27th. In 2014, Purdue had 93 U.S. utility patents issued. College Magazine has ranked Purdue University as the No. 3 best school for English majors! On top of the excelleng Purdue OWL (Online Writing Lab) that really helped me as a student back then, Purdue offers English students four different majors, a number of experiential opportunities, innovative courses. Purdue Day of Giving - Bigger and Better!! !